First off, the Alumni (“Old Dudes”) game wrapped at an admirable 5-5. A number of our favorite former Caps saw a little action, although we were just a bit disappointed that Craig Laughlin was unable to get the biscuit between the pipes. Joe B better give him s**t about that. Although the NHL channel screwed up by NOT airing the game, you can find all the days action streamed live here. The Caps are slated to hit the ice later this afternoon; the Penguins already fouled the rink up with their practice, so the Zambonis will need a little extra time. We think he means it. As for the Penguins, go party your rocks off. 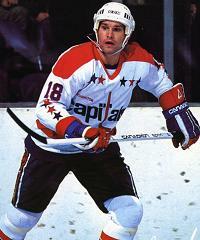 This entry was posted in Uncategorized, Washington Capitals and tagged Craig Laughlin, Winter Classic. Bookmark the permalink.